What’s a wedding without a feast? With street parties, wedding brunches and picnics being planned we couldn’t leave our canine companions out of the equation. Our head nutritionist Sam has given us a few favourite recipes for your doggies to enjoy on the big day. Fun fact; Sam has actually worked with several of the Royal Household’s dogs and even designed their diets. These make a delicious savoury treat for our doggies, packed with fibre from the sweet potato and high in protein they always go down a treat whenever we make a batch and we’ve even been known to sneak one or two ourselves – sharing is caring, right?! Lightly grease a 12 cup small muffin tin. Mix grated sweet potato, cheese and ham together. 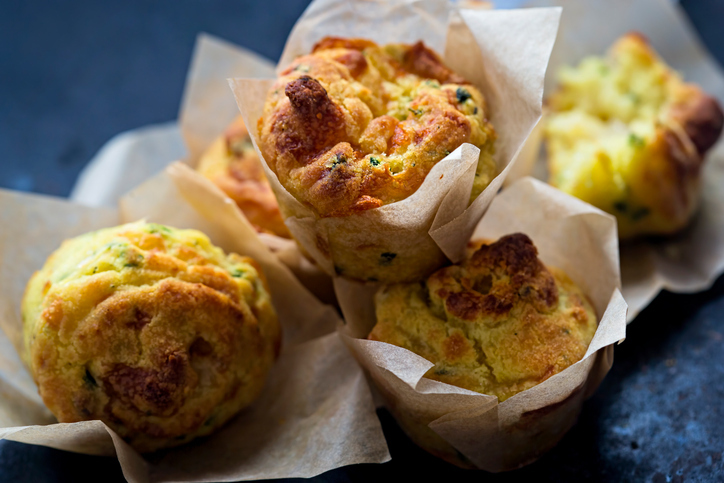 Pour the mixture evenly into each muffin cup. Bake for 10-15 minutes, until eggs are set and not too wobbly. Allow to cool for 10 mins before removing from tray to cool completely on a wire rack. Let your pooch tuck in straight away or keep in the fridge. Ice cubes and frozen smoothie treats have become a firm favourite at Tails HQ. Whilst our doggies can’t join us in celebrating over a drink or two we have some refreshing quick and easy ice cube recipes for them to enjoy – cheers! 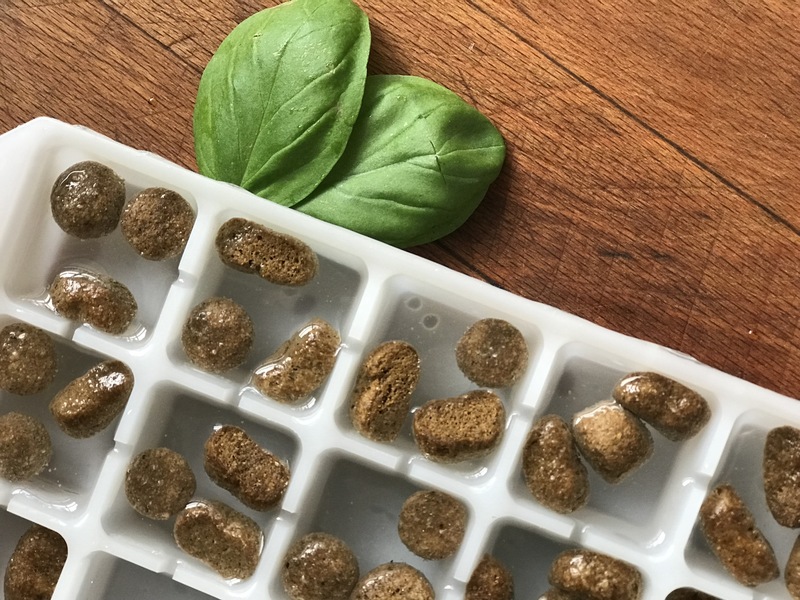 Yes, that’s right, simply grab an ice cube tray, pop a few pieces of kibble in each cup, fill with water and freeze. Serve up for the perfect treat to keep your doggie occupied – this makes a great treat if you are trying to watch their daily calorie intake. Blend 100g fresh parsley with 1 cup low salt chicken stock, pour into an ice cube tray and freeze for some seriously green goodness. Our doggies love these and parsley is fantastic for fresh breath. 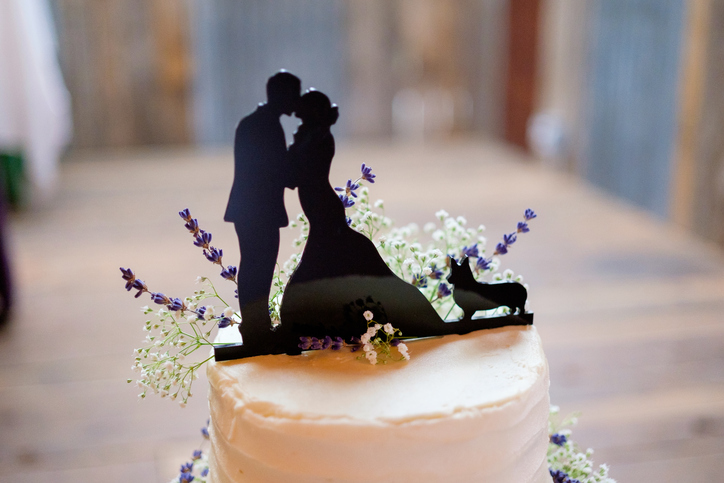 Here is our favourite dog-friendly cake recipe, to make it extra wedding-worthy we added some dog-friendly icing (pure natural yogurt – without added sugar or sweeteners) and dog-friendly flowers. Add in the grated carrot. Bake for 40 minutes (20-30 if using cupcake tin). Let cake cool in the tin for 10-15 minutes; then turn out onto a wire rack to cool completely before optional icing and decorations, we love using our Good Dog Treats for extra decoration too. Let us know if you give these as go and happy feasting to all our furry friends.